We believe in holy intentional pursuit of Jesus Christ and His teachings – with Media! We believe in Rev 5:9 and 10, Jesus' intentional pursuit of creating a Priest from all Tribes, Tongues, Languages and Nations! We believe in occupying until He comes – with Media! our community and culture – with Media! We believe in utilizing media to tell the Greatest Story Ever Told! Since 1992 Christian Filmmakers Network (AKA - Christian Media Association, Christian Filmmakers Association) has been helping Christians in Visual Media. The CMA started in 1992 with a vision to help Churches and Christians use media effectively. In the next many years The Lord helped us to quickly develop into an association for thousands of churches that used media. We developed numerous relationships with media and music ministers and enjoyed praying with almost everyone who called our office. We love to pray for the needs of God’s people! By 2003 we were holding media conferences across the US – teaching and networking Christians in Media (Jacksonville FL, Springfield MO, Washington DC, Arlington, TX) to name a few. And In 2003 we also expanded our focus to help all Christians in Media – with a new website address “christianmedia.org” and a new name “Christian Media Association®”. 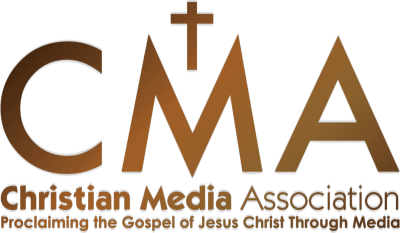 In 2009 we started our first CMA Chapter in the North Dallas area – which quickly grew in numbers and testimonies of how CMA catapulted them into their God-given media destiny. For 2014 – we held our First National Media Conference in the Dallas Area expanding our reach to connect media leaders. ALSO we started our second chapter in the Fort Worth area furthering expanding our network. In 2015 - We held our first "Dinner and a Movie" event, which would bring more fellowship and support to our members and this would eventually replace our chapters. In 2017 - we changed our conference name to "CONTENT17", to better represent what we do for our Lord Jesus Christ. In 2019 - we added two more names as DBA's (Christian Filmmakers Network, and Christian Filmmakers Association) to better represent who we are and what we do for our Lord Jesus Christ. We are thankful for what the Lord has done these 27 years! Rejoice with us!